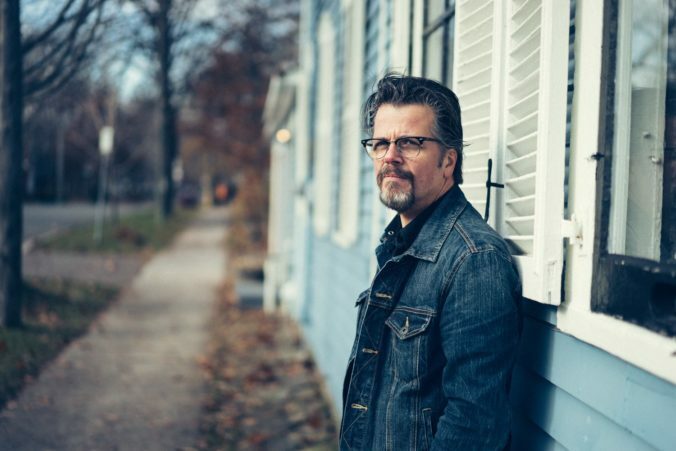 Sackville, New Brunswick and Bakersfield, California couldn’t be geographically further apart, being located on opposite sides of North America from one another, but that hasn’t stopped Toronto transplant Kenny James from mining the iconic country sound for his latest effort, Ghost Town. When did the songs for Ghost Town come together? The bulk of the songs were written over the last year and a half. The song “Soul Gambler” was supposed to be on my first album, but didn’t make the cut (for whatever reason), so it’s closer to going on four years old. One song in particular, “Don’t You Ever Give Up,” was a song I wrote many years ago for another band I used to play in. I rehashed and reworked it, so it sounds quite different from the original. I always liked the song and felt it deserved a new life. Not to say you weren’t entirely comfortable with your sound on Tougher Than Nails, but did you feel more confident going into the making of Ghost Town compared to your debut? I think so…especially with the singing. I didn’t have a lot of confidence in my voice, but the more you do it, the better you get. I might go out on a limb and say that some of the songs are stronger on my first album, but my delivery is better on this new one. What do you see as your biggest points of growth – personally or professionally – in the almost three years between records? I think I’ve learned to dig a little deeper, sing with more confidence and stand a little taller. Also, learning about the music business and what it takes to get out there and promote yourself. It’s hard work, it’s not easy… there is a lot of competition for shows and spotlights, etc. There are incredibly talented artists out there. Are you finding a significant market interest for this style of country music as opposed to the modern country fan?